This competition is closed and the Naming X team is delighted to announce the winners and runners up. Please view the winning entries here - "Winners & Runners Up Announced!" 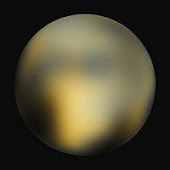 If you had the chance to name a minor planet what would you name it? Well here’s your chance to do just that. As a tribute to Venetia’s extraordinary contribution and Pluto’s discovery by the young American, Clyde Tombaugh, Space Renaissance Education Chapter, in collaboration with Father Films, will open its online doors on the 30th April 2010 to find the next influential student or school group with the creative and scientific talent to suggest a suitable name and reason for it. 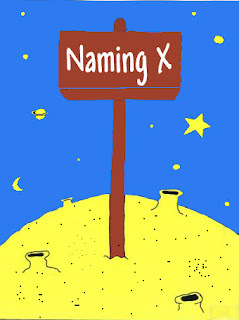 Be a part of Naming X! 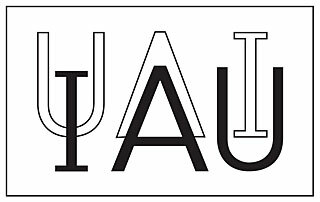 The Committee for Small Body Nomenclature (CSBN) of the International Astronomical Union, the body responsible for the naming of minor planets and comets, is supporting this educational and creative initiative and will consider the winning names for the naming of minor planets. Winning names will pass through the same judging process as any other minor planet name proposals from discoverers or orbit computers. The process is detailed and can take from 4 to 6months for a decision to be made, so there is no guarantee that Naming X’s winning names will be accepted, applied or used. However, the important fact to remember is that there are minor planets out there in space waiting to be named. And you could name one of them. Naming X is giving you a unique platform in which to think creatively, use your imagination and make a historical contribution to astronomy, like Venetia did. Reach for the stars! Entrants must choose one name per entry and their reasoning for their choice of name is to be no longer than 25 words. Please enter your name, year, age and school’s name, City and Country and email address. In the subject box write the Category you are entering and your chosen name only, ie: Category 1 - Pluto. Please abide to this format or your name will not be considered. Should the same name be submitted by different applicants, the first to be submitted will be selected, so hurry! Winning entries are at the sole discretion of the judges and their decisions are final. Submissions after the deadline will not be accepted. not too similar to an existing name of a Minor Planet or natural Planetary satellite. The names of individuals or events principally known for political or military activities are unsuitable until 100 years after the death of the individual or the occurrence of the event. Be as creative as you can. Think within the guidelines and outside the box. Remember we live in a different world and have made vast scientific advances since 1930. This could be your opportunity to make a contribution to astronomical history. Good luck! -Category 1 resist help from your tutors or parents. -Category 3 means that a classroom, a school or an after school group can enter as a team. Submissions to Naming X closes on 30th May 2010 and winning names will be announced around June 14th 2010. Telescope time from Bellatrix Observatory, Italy with guidance of a professional astronomer. All you will need is Internet connectivity. We have the A-team of judging panels. We are very lucky to have them support Naming X. You can see their biographies and impressive portfolio of astronomical achievements here. Educators, Carolina Odman, Julia Elizabeth Taylor, Janet Ivey-Duensing and Joan Chamberlin will also assist. The competition is coordinated by Thilina Heenatigala (Space Renaissance Education Chapter) and Ginita Jimenez (Father Films). IMPORTANT: In the subject line of email, please include the Category and Name you are proposing. How do planets and their moons get ther names? How Are Minor Planets Named?